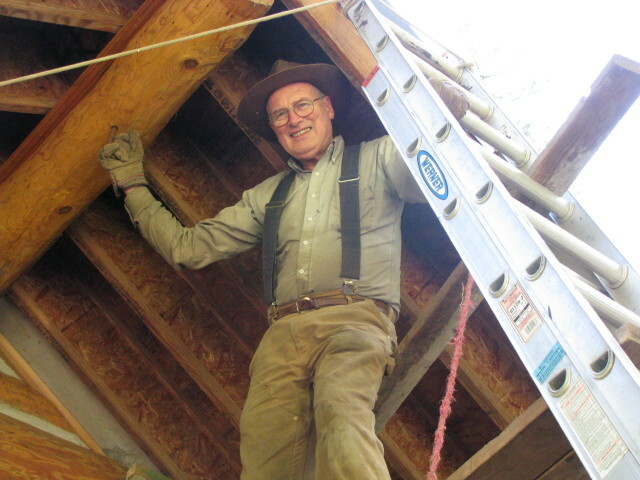 The major projects planned for 2010 are to finish the loft staircase, install enough of the plumbing to get a working shower and toilet, and maybe do some more wiring. 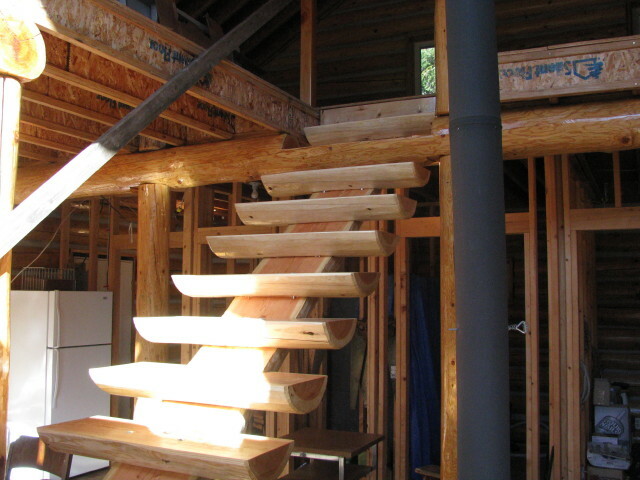 2/18/10 The loft staircase is finished except for a few more coats of varnish in some places and the reinforcement of the joists under the bottom step. 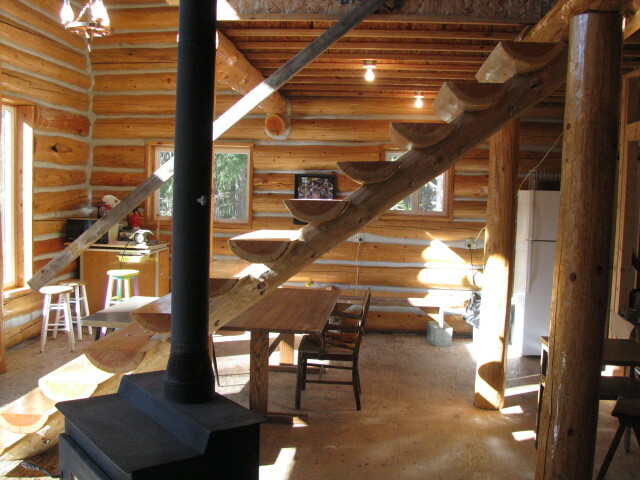 This is the view of the staircase from the front entrance. 2/18/10 Here you can see how the second tread from the top is cut out of the loft beam. 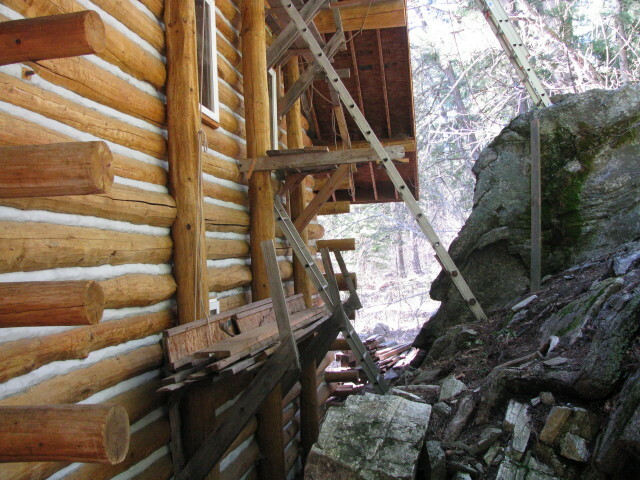 The loft beam also holds up the top of the stair structure. 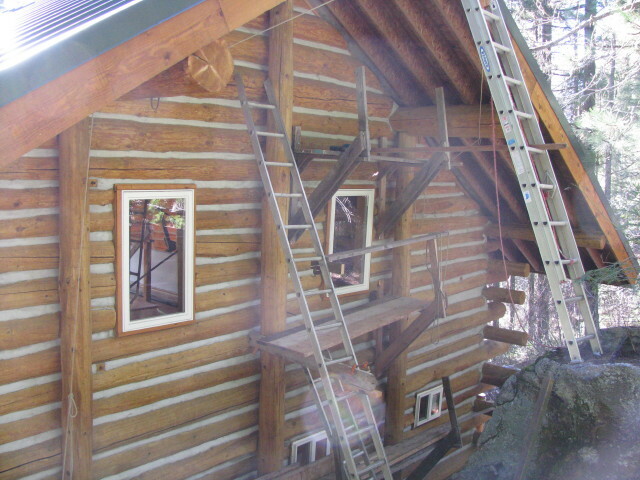 There is one log tread between the loft beam and the loft floor. 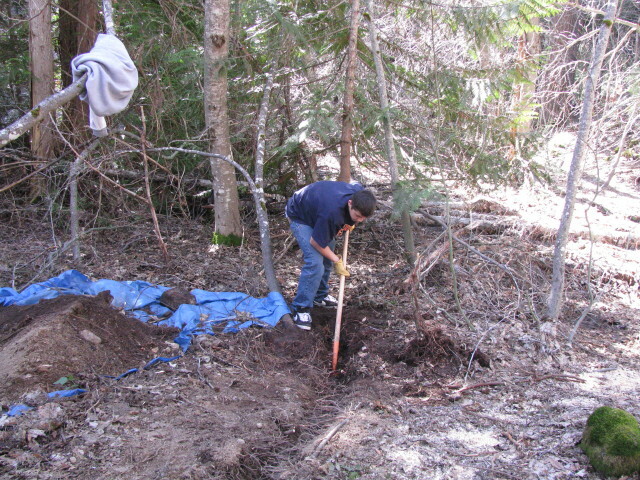 3/31/10 Andrew digging part of the water supply line trench. 3/31/10 Part of the scaffolding needed to install the wastewater vent pipes up to the peak of the roof. 3/31/10 Another view of the scaffolding. 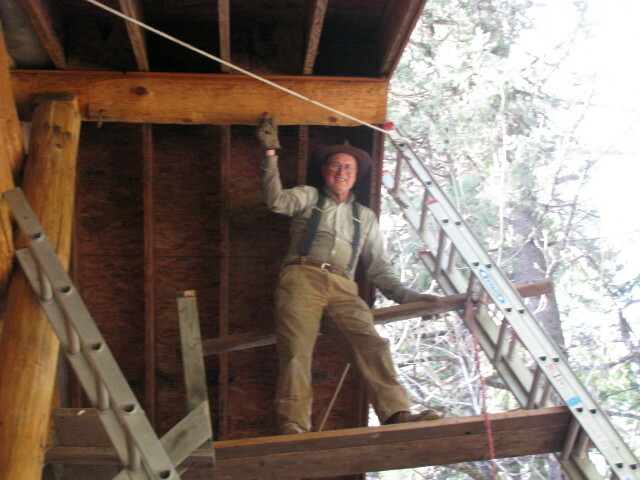 3/31/10 Paul standing on the scaffolding under the ridgepole. 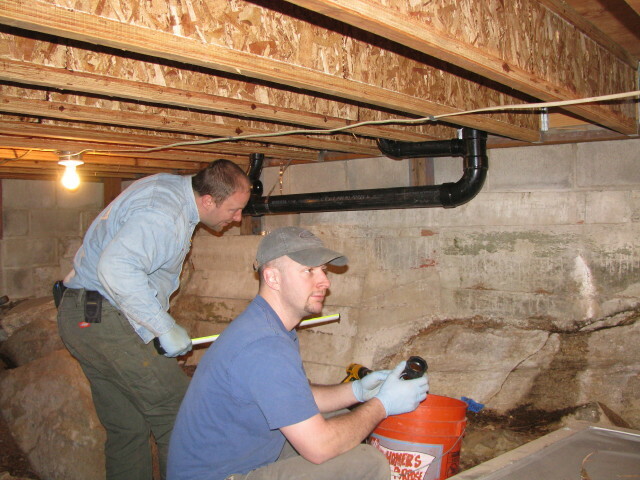 4/1/10 Plumbers Craig and Wes installing wastewater plumbing in the crawl space. 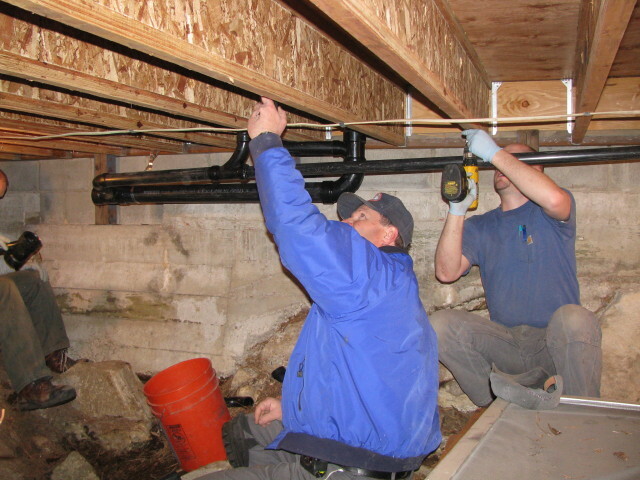 4/1/10 Plumbers Mark and Wes installing wastewater plumbing in the crawl space. ©2010-2019 Paul R. Martin, All rights reserved.